Looking for that perfect staycation to rekindle the romance in your relationship? Located at Lonavala, Vista Amalfi is what you need to check out right now. 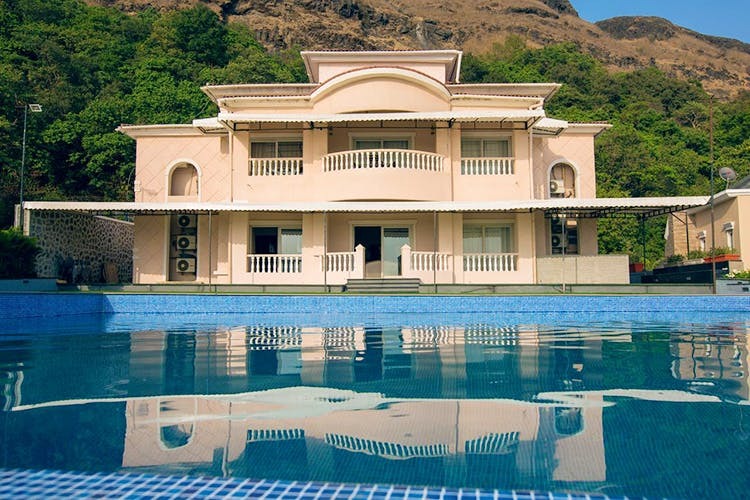 Perched atop a hill, Vista Amalfi is a 5-bedroom mansion, surrounded by valleys and Sahyadris. The property also has a gorgeous infinity pool, which we think is an absolute winner. Besides, the location is perfect; nature all around, quiet, a tad chilly and ensures complete privacy. Apart from this, the villa also a manicured lawn for those evening strolls and late-night barbecues. Be rest assured the rooms are well-maintained and have the basic amenities like wardrobe, TV and air-conditioners. The villa can accommodate close to about 8-10 people at a time. The prices are bit steep (starting from INR 27,500 per night for entire villa), however, we think with a place this pretty, it's worth the deal. The property doesn't have a WiFi connection. For people who don't like to disconnect (even on vacation), this can be an issue. Vista Amalfi is always on high demand. Make sure you book it much prior to your stay.